Every once in a while we come across a food phenomenon that truly blows us away. This is one of those times. 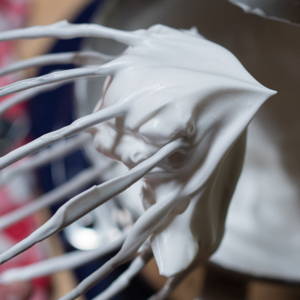 Aquafaba is a new and growing food trend that has been sweeping across the web. It literally translates to bean (faba) water (aqua) and is the water drained from cooked beans, most notably garbanzo beans. It’s a magical ingredient that can be used to make fluffy vegan whipped cream (we’ve got the recipe for that below) and even vegan meringues, latkes, and beyond! It even works as an egg replacer in many recipes. In this video I show you how to transform aquafaba into the most fluffy, sweet, delicious vegan whipped cream. Isn’t that neat? Here is the recipe that we hope you’ll use to replicate this in your kitchen. Enjoy! 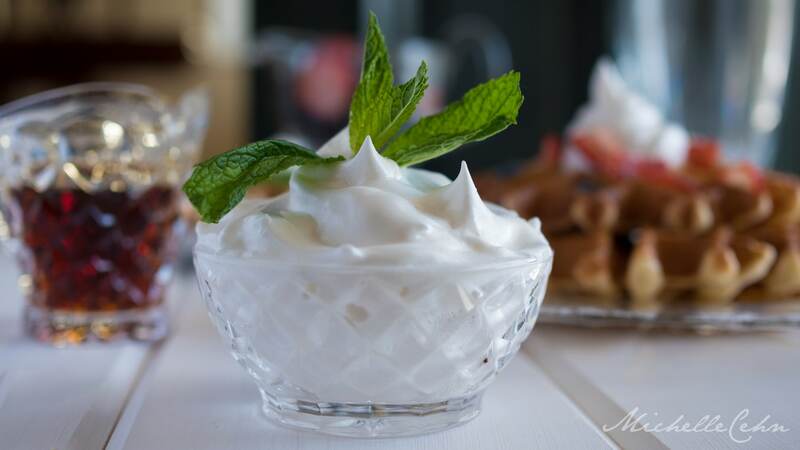 A scrumptious fluffy vegan whipped cream made from the brine of chickpeas! Drain the liquid from the cans of chickpeas. Add the Cream of Tartar and mix together. Then add the vanilla and sugar and mix together for 10 to 15 minutes using a stand mixer or handheld mixer. The aquafaba should fluff up and the peaks should hold—then you know you're done! This makes a giant batch—but you can easily halve the recipe. The aquafaba should be served soon after it is made (within a few hours). If you refrigerate it overnight, it will turn back into a liquid. You can re-whip it again and again though! Don't use a single-blade immersion blender—this won't work.